Debts have a time period that they're legally enforceable - that creditors can use the courts to force you to pay a debt. This time period is known as the statute of limitations on debt. 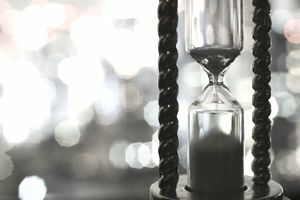 The specific statute of limitations can be different depending on the type of debt you have: an open-ended account, oral agreement, promissory note, or written contract. It's important to know which type of debt you're dealing with, so you're using the right timeframe to consider whether that debt is past the statute of limitations. A written contract is an agreement made on a printed document that has been signed by both the lender and the borrower. Written contracts are legally binding and easier to enforce than oral contracts. In a written contract, one party agrees to perform a service or provide a product, and the other party agrees to certain payment terms. The terms of written contracts can vary from one contract to another. Once you've signed the written contract, you're bound by the terms of the contract. If you default on the terms of the contract by failing to make the payments as agreed, the other party may take certain actions to pursue you for what you owe. One of those actions could include filing a lawsuit against you to get you to pay up. If the court finds that you owe the debt, a judgment could be entered against you requiring you to pay the debt. With a judgment against you, the other party can sue to have your wages garnished if you still don't pay the debt. The court can only force you to pay what you owe under a written contract as long as the statute of limitations has not expired for the debt. The clock starts ticking on the late day of activity on your account. The date of last activity could be the last date you made a payment, payment arrangement, or even acknowledged the debt. It's important that you keep records regarding your debts so you can properly track the statute of limitations. The specific statute of limitations for written contracts varied by state. The number of years often exceeds the statute of limitations for open-ended accounts which includes credit cards and line of accounts. Use the table below to find out the statute of limitations for written contracts in your state. If you're faced with a lawsuit from someone you created a contract with, consult with an attorney to verify the timing for the statute of limitations and discuss how you can use it as a defense against your lawsuit. The statute of limitations will continue to run as long as you don't take any action with the debt. Be careful that you don't take an action that could restart the statute of limitations. It would give the creditor more time to sue you and win a judgment against you.